Thank you, Gordon. And thank you members of LEA for inviting me to address your banquet this year. A special thanks is due to Sue Jeffers for recommending me to the LEA board with the enthusiasm that only Sue can muster. This isn’t the kind of environment where I am the most comfortable, speaking before legislators and assorted movers and shakers. Once I was invited, a nagging burden developed in the back of my mind to prepare remarks as early as possible so I could polish them up and be ready to go. Alas, I procrastinated until late last night. But I’m glad I did, because there have been a handful of recent experiences and events which are strongly indicative of both the political philosophy which the Tea Party represents, and the kind of messaging and tactics which must be employed by both conservative politicians and activist groups who care about liberty. Earlier this week, I met with a burgeoning coalition of conservative organizations who are looking to coordinate our efforts toward affecting public policy. One need that we all recognized was the necessity to reclaim the art of the human interest story. As conservatives, we tend to deal in the rational and practical. We tend to quantify and qualify, to analyze and emphasize fact. The Left, on the other hand, go straight for the heartstrings. They play off emotion. And as any salesmen will tell you, emotion is what sells. When all else is equal most people don’t buy the sensible, rational, practical thing over that which makes them feel better about themselves, whether it’s a car, an engagement ring, or a television. In the marketplace of ideas, we are each of us salesmen and must therefore master the art of appealing to emotion in our political discourse. This is something the Left has got down to a science. Whenever conservatives come along to threaten a particular entitlement or otherwise reduce spending, the next day the Left throws a press conference and wheels out five poor souls whose government checks are about the dry up. And they create this false but rhetorically effective “moral” argument that we have to keep the gravy flowing lest grandma or the orphaned child next door whiter up and die in the street. We need to take that tactic and start throwing it right back in their face. I can tell you for a fact that there is no shortage of powerful personal stories demonstrating the unjust and therefore immoral nature of the Left’s policies. Let me put it succinctly. For many among my generation, the American Dream is dead. When my father was 25, he worked as a baggage handler and gas truck driver for Butler Aviation in Detroit. He made less money then than I did at my first job in high school. Yet, he owned a house. He owned two cars. And he supported himself and a family of three, which soon became five. My dad believed in the American Dream. He believed that, if he worked hard and played by the rules, he could improve his lot in life. He believed this despite growing up as a black man during a time when that was a liability. His faith and hard work paid off. He earned promotions. He went to school full-time while working full-time. He eventually became an airplane mechanic for Northwest Airlines. He earned enough to move us first from an inner suburb of Detroit to an outer suburb, and then here to the great state of Minnesota—a trade-up I assure you. He accomplished what every parent hopes for, to provide a better life for his children than he endured. As his son, now raising a child of my own, I find myself facing the likelihood that I will not be able to duplicate my father’s results. I like to think of myself as a pretty smart guy. I have certain skills both innate and developed. Like my dad, I went to school while working full-time and earned a degree. But I’ve come to find, as have many in today’s economy, that intelligence, knowledge, and skill don’t add up to much without some place to apply them. This is the plight of my generation, the new thirty-something, today’s young parent. Among my circle of friends, there isn’t a single person who could come here before you and express something resembling peace of mind. None of us expect the pay-as-you-go entitlements of today to be there for us tomorrow. Slowly but surely, we’ve begun to wake to the ponzi scheme that we’re on the bottom of. We work, not for ourselves, not for our children, but to pay off the debts of our elders. We do so wondering how it is that any parent could look into the eyes of their child and see a piggy bank. What kind of person would take from their own children? The problem is that far too many of us don’t see government action in the same light as personal action. In a survival situation, most of us would fed our children before ourselves. Yet, when it comes to government, when it comes to public policy, fiscal policy, we apparently have no problem feeding ourselves first. When you prioritize the present at the expense of the future, it’s only a matter of time before there is no future left. Those of us who identify with the Tea Party have been stirred by the sense that such a reckoning is at hand. Gordon is right. His read on the Tea Party is quite astute. We are people who were largely content to leave politics to politicians, but who now realize that’s like leaving the cookie jar to the kiddies. We are educating ourselves and learning the hard way how to organize and become effective activists. It’s a maturation process. We’re growing from a cathartic protest movement to a more sophisticated political force. The name Tea Party is misleading because it contains the word party in it. People regard it as a potential third party or otherwise as a competitor to the major parties. But this is not the case, at least not yet. There is no shortage of third parties. Were the Tea Party to become a bona fide political party, its primary purpose would be undermined. The purpose of the Tea Party is to provide a place free of political contests where people can hone their political philosophy, then channel that back into established institutions. As is made clear by 2010’s LEA report, both Republicans and Democrats could benefit from such philosophical cleansing. That’s what we’re here to do, not compete with the existing parties, but flush them out and create a new establishment rooted firmly in the precepts of liberty. This is no small task, and it really starts in the culture, which means it starts at home. As Gordon stated, we are educating ourselves on a broad range of topics, from the Constitution to case law and even foreign affairs. We are becoming the leadership we have lacked. We are not looking to anyone else to show the way. These differences among Tea Party members and groups is best understood if you compare the movement to a religion. We all understand the difference between a religion, a denomination, and a particular church. In a similar way, there is a difference between the Tea Party movement as a whole, the different threads within it, and the individual organizations which claim its brand. The organization I am affiliated with is Tea Party Patriots, one of the larger national coalitions. 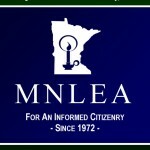 I currently chair their state board in Minnesota, an organization called North Star Tea Party Patriots. So, we’ve talked about why there is a Tea Party. And we’ve talked about what it is. The operative question for tonight’s honorees and their cohort in the legislature is—what do we expect them to do. Here again, I’m glad that I procrastinated because, before last week, I would have only been able to give you my personal opinion. But the Saturday before last, North Star Tea Party Patriots hosted an event which drew about 55 grassroots activists from around the state with the purpose of establishing some goals and deciding upon some issues of focus for the next year or so. Some of what we came up with was very specific, and some of it was very ambiguous. But I’m going to share all of it with you here tonight. The Republican majority in the legislature has already set to work on some of these items, most notably Voter ID, tackling the stranglehold of public employee unions on education, and reducing government by asserting Minnesota’s independence from Obamacare. While these efforts are certainly heartening, we are cognizant of a glaring barrier to their success—the sitting governor, Mark Dayton. Much in the way the new Republican Congress is handicapped by a Democratic controlled Senate and a deeply radical leftist president, our state legislature may be thwarted in many of its efforts. What this tells us again is that we have a lot of work to do in the culture, in educating ourselves and our neighbors, and bringing up a new generation steeped in civic responsibility. I sat in a hearing of the Senate Health and Human Services Committee last week where I listened to Hennepin County Commissioner Mike Opat tell those assembled that the Constitution was “above his pay grade.” Outrageously, his sentiment was echoed by a number of the committee’s members. This abdication by our public servants of their first and foremost responsibility ought not be tolerated. In a society that knows what the Constitution is, what it says, and what it means, such nonsense would not be tolerated. We are tasked with crafting that society. The Tea Party is one piece of the puzzle, little more than average citizens woken to their civic duty who could not go to sleep again if they wanted to. But we also need public servants willing to lead, willing to vote against their caucus when the caucus is wrong, and willing to say what’s right when the political windsock is blowing the other way. Those few legislators we honor here tonight have demonstrated themselves to be such leaders, true public servants. We thank you. We wish God’s blessing on you. And we hope this small encouragement helps you remain steadfast in the fight to break free of the iron cage. Walter is a thoughtful and eloquent spokesman for the TEA party (the lower case “p” is intentional) movement. He understands and communicates that the TEA party is more about ideology than organization. Building organizations for action, a recognized strength of the left, is one of those activities with which conservative individuals have considerable difficulty. I agree with Walter that we need to learn quickly to overcome our aversion to the concept of the “community organizer” and adopt techniques that have proven, so far, to be effective to the detriment of liberty.